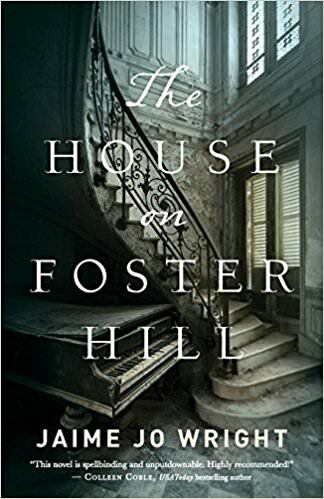 The House on Foster Hill by Jaime Jo Wright. I really enjoyed this book. I always like a mystery when the backgrounds of the family are discovered! There were 2 mysteries going on in this book: Kaine Prescott, who moved when being stalked after her husbands death. And Ivy, Kaine's Great, Great Grandmother. The book has one or two chapters on Kaine and then one or two on Ivy. Very easy to follow (that means it's really simple since I get lost easily) The chapters are not long, and the story grows with each chapter! Hard to put this one down once you get into it! I would definitely recommend this book if you like mysteries and enjoy learning the hidden secrets of the family lives!